Blade of Queen will undergo an update for S1-S187 to improve and provide better game experience, which starts at 04:00 Oct.19 (EST). This update lasts about 15 minutes after the in-game announcement. 1. New Faery Function has been added. Unlock at Lv.131, after completing certain instances. Players can use Silver or Gold to summon faeries who can guard and offer bonus stats & battle skill for Main Char and Buddy. 2. New Auto Imprint feature has been added. 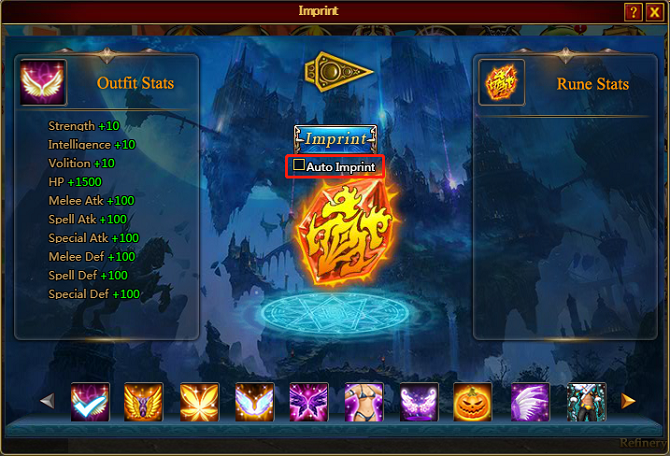 Can choose mass stats at the same time, it will be ended when one of the stat has been imprinted. The higher level rune stone is, the more stats can be imprinted. 1. Improve the display color of Pet Skill to highlight the skills which consume pet shards.